You may not think a whistle is an important piece of equipment, but you’d be dead wrong. 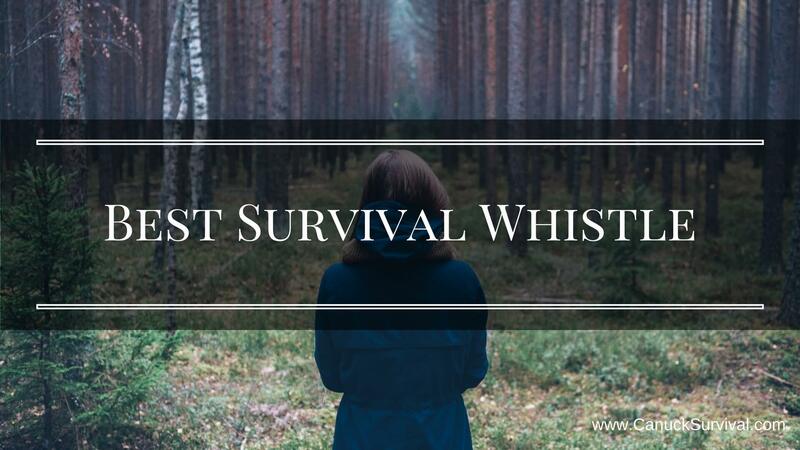 Having a whistle in your survival gear even carrying one every day could save your life. You can use them to signal help, scare predators, deter criminals, get someones attention when you need it, and more. Whistles are a must-have and inexpensive item not to be overlooked. That said, when looking for a whistle that your life may depend on there are few things you need to consider. Below I’ll outline just what to look for and offer the best survival whistle that meet the criteria. You want a whistle that works in any environment, whether it’s hot and dry or wet and cold, something that won’t rust or deteriorate. Also make sure the whistle is shock-resistant, the last thing you need is to find a cracked whistle when you need it the most. Look for high impact plastic for the best whistle material. Pealess is the way to go, no other way around it. When I was a kid we always had metal pea whistles and they were the worst. The pea is the little ball inside the whistle to make the sound, it’s easily jammed and won’t work if you blow too hard. Pealess means no moving parts which equals no chance for jamming or over blowing. The more you blow the louder it will be. The pealess whistle will work every time and in all types of weather conditions. The purpose of the whistle is to be loud. For a survival whistle it’ll be used to call for help and/or scare away unwanted animals. You want the whistle to be loud and able to be heard from far away. Always keep your whistle within reach, never deep in a pocket or bottom of your bag. The best thing is to have the whistle on a lanyard around your neck (make sure it’ll break under pressure), on your wrist, or key ring. Claimed to be the loudest whistle in the world, people who have used it say they need to cover their ears. Funny enough, that’s the main complaint, it’s too loud! But that’s just what we’re looking for. Can be heard under water up to 50 ft.
Used and trusted by several USA government agencies. The Storm All-Weather Safety Whistle meets all of our criteria. It won’t rust/degrade, pealess so it works in all-weather (even under water), it’s LOUD, and easily attaches to a lanyard for easy accessibility. If you only had to choose one whistle, this is it. Grab yours on Amazon now. The Ultimate Survival Technologies Micro Whistle is another great choice for your survival whistle. It’s bright orange, lightweight, and compact. Although not as loud as the Storm Whistle, it’s still pretty damn loud. The downside people have reported is that it requires quite a bit of blowing power to create a sound. The Ultimate Survival Technologies Jetscream Micro Whistle is the mini version of the Jetscream Whistle below. Check the price on the Jetscream Micro Whistle on Amazon. The big brother to the Jetscream Micro, the JetScream is a great pealess whistle that also works when wet, like the others. It’s flat and comes with a small lanyard attached from factory. The only problem is it requires powerful lungs and, because it’s black, can be easily lost. The Jetscream is a solid whistle, however the Micro version in bright orange I feel is slightly better simply because you’ll have an easier time finding it should it be dropped or misplaced. That said, you can’t go wrong with this one either. Buy it on Amazon now.